​Nick Saban's continued invocations of the SEC's transfer rule blocking graduate transfer players from playing at certain schools is beginning to ruffle feathers across college football. Recently, Saban blocked backup center Brandon Kennedy from transferring to any SEC school, as well as seven teams the Crimson Tide play out of conference. To repeat: he's a backup center. The SEC's particular rule allows coaches to block graduate transfers from attending other schools within the conference. If the player does indeed transfer to one of the blocked schools, they will be forced to sit out a year before regaining their eligibility, just like non-graduate transfers do. ​Saban has invoked this rule numerous times during his reign in Tuscaloosa. Kennedy graduated from Alabama as a redshirt sophomore and sought to transfer to Auburn or Tennessee for his final two years of eligibility. It stands to reason that he wouldn't be permitted to leave for a conference rival, but blocking him from heading to the Citadel? That's just bizarre. 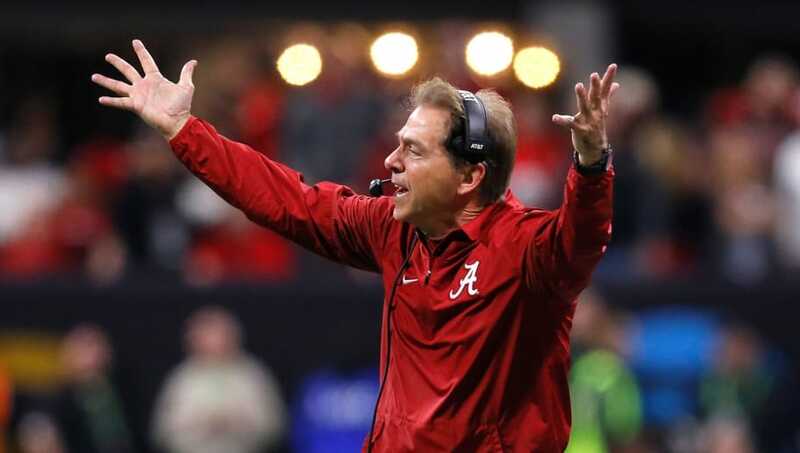 All the same, Saban is getting frustrated with the backlash he is receiving from making such decisions, blaming it on the rule and deflecting all fault off of himself. "It's a conference rule. I always give people releases. And he has a release to go wherever he wants to go, but the conference rule says he can't go within the conference," he explained. "So why is that on me?" I understand the idea behind Saban using these rules to his advantage, but if he really cared about student athletes, he would allow them the freedom to continue their education and football career at a non-SEC school that fits their needs-- even if that school happens to be a cupcake on Bama's out-of-conference schedule. Just because you can do something doesn't mean that you should, coach.